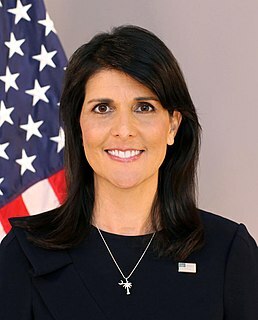 Nimrata"Nikki"Haley is an American politician who served as United States Ambassador to the United Nations from 2017 to 2018. A member of the Republican Party, she previously served as the 116th Governor of South Carolina from 2011 to 2017 and is a former member of the South Carolina House of Representatives. Haley was the first female governor of South Carolina, and the second Indian-American to serve as a governor in the United States. 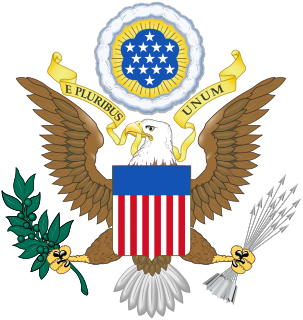 Torcaso v. Watkins, 367 U.S. 488 (1961), was a United States Supreme Court case in which the court reaffirmed that the United States Constitution prohibits States and the Federal Government from requiring any kind of religious test for public office, in the specific case, as a notary public. Under Section 4 in Article IV of the South Carolina Constitution, the governor serves a four-year term in office beginning at noon on the first Wednesday following the second Tuesday in January following his election and ending at noon on the first Wednesday following the second Tuesday in January four years later. Section 3 of Article IV states that no person shall be elected governor for more than two successive terms. For clarification, a person can hold an unlimited amount of terms as governor as long as such person does not serve more than two consecutive terms. Since Henry McMaster assumed the office of governor after Nikki Haley resigned, he is eligible to serve the remainder of Haley's term and two consecutive four-year terms of his own. 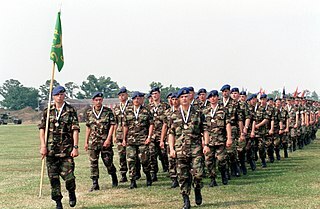 The South Carolina State Guard (SCSG) is the designated state defense force for the state of South Carolina. 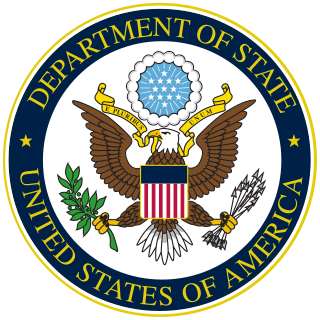 An acting governor is a constitutional position created in some U.S. states when the governor dies in office or resigns. In some states, the governor may also be declared to be incapacitated and unable to function for various reasons including, illness and absence from the state for more than a specified period. The Governor's Mansion, located at 800 Richland Street in Columbia, on Arsenal Hill, is the official residence of the Governor of South Carolina. It was built in 1855 and originally served as faculty quarters for The Arsenal Academy which together with the Citadel Academy in Charleston formed The South Carolina Military Academy (now The Citadel); The Arsenal was burned by Sherman's forces in February 1865 and never reopened; the faculty quarters building was the only structure to survive and became the official residence of the governor in 1868. The South Carolina Constitution in Section 20 of Article IV requires that the governor is to reside where the General Assembly convenes. ↑ Unlike most states, the power to grant reprieves and pardons resides in a seven-member board, not the Governor. The current Constitution of the State of Maryland, which was ratified by the people of the state on September 18, 1867, forms the basic law for the U.S. state of Maryland. It replaced the short-lived Maryland Constitution of 1864 and is the fourth constitution under which the state has been governed. It was amended in 2012. The Constitution of the State of Connecticut is the basic governing document of the U.S. state of Connecticut. It was approved by referendum on December 14, 1965, and proclaimed by the governor as adopted on December 30. It comprises 14 articles and has been amended 31 times. The Constitution of the State of North Carolina governs the structure and function of the state government of North Carolina, one of the United States; it is the highest legal document for the state and subjugates North Carolina law. All U.S. state constitutions are subject to federal judicial review; any provision can be nullified if it, in the view of a majority of the Justices of the United States Supreme Court, as constituted from time to time, conflicts with the US Constitution or any federal law pursuant to the Constitution, even if the identical language was previously upheld as valid by the court. 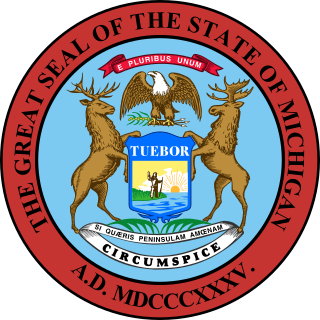 The Constitution of the State of Michigan is the governing document of the U.S. state of Michigan. It describes the structure and function of the state's government. The Lieutenant Governor of South Carolina is the second-in-command to the Governor of South Carolina. Other than the responsibility to act or serve as governor in the event of the office's vacancy, the duties of the lieutenant governor are chiefly ceremonial. The current lieutenant governor is Pamela Evette, who took office on January 9, 2019. Elections were held in South Carolina on Tuesday, November 2, 2010. Primary elections were held on June 8, 2010, and a run-off election for certain contests was held on June 22, 2010. South Carolina government and politics covers the three different branches of government, as well as the state constitution, law enforcement agencies, federal representation, state finances, and state taxes. A general election will be held in the U.S. state of South Carolina on November 6, 2018. All of South Carolina's executive officers will be up for election as well as all of South Carolina's seven seats in the United States House of Representatives. ↑ "Gov. Nikki Haley Resigns, McMaster Takes Over" . Retrieved June 15, 2018. ↑ "The South Carolina Governor". www.ipspr.sc.edu. Retrieved June 15, 2018. 1 2 3 "Article IV, South Carolina Constitution - Ballotpedia" . Retrieved June 15, 2018. ↑ "South Carolina Pardon Information - Pardon411". www.pardon411.com. Retrieved June 15, 2018. ↑ "Members - Board of Trustees - University of South Carolina". sc.edu. Retrieved June 15, 2018. ↑ "Code of Laws - Title 23 - Chapter 11 - Sheriffs-election, Qualifications And Vacancies In Office". www.scstatehouse.gov. Retrieved June 15, 2018. ↑ Lassiter v. Northampton County Board of Elections, 360 U.S. 45 (1959). Wikimedia Commons has media related to Governors of South Carolina .